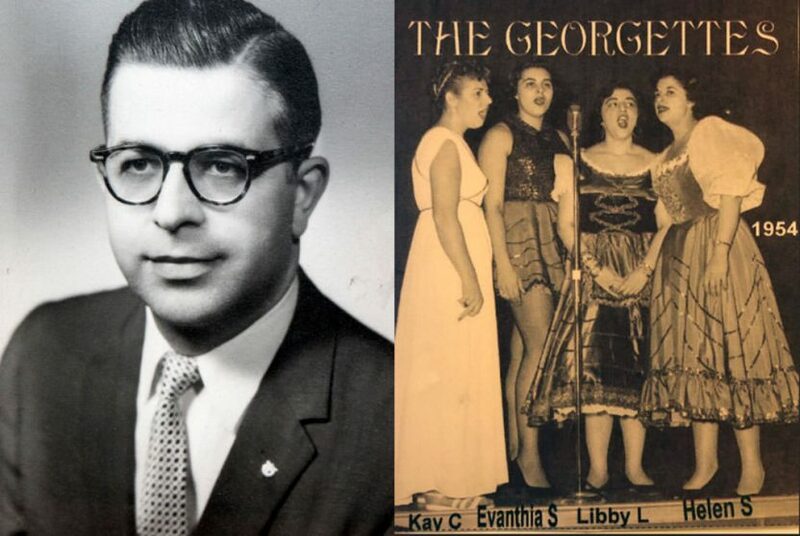 The Georgettes were a Group named after their founder, George Burlotos. The five of them, (four women and a man) were all members of the St. George Greek Orthodox Cathedral in Olde City Philadelphia. The group spent three years together singing at church festivals, dances and family affairs around the Delaware Valley. Famed musical leader Paul Kauriga and his Orchestra played back up to this group and recorded more than seven popular songs from the 1950’s.